Yes, that’s right. 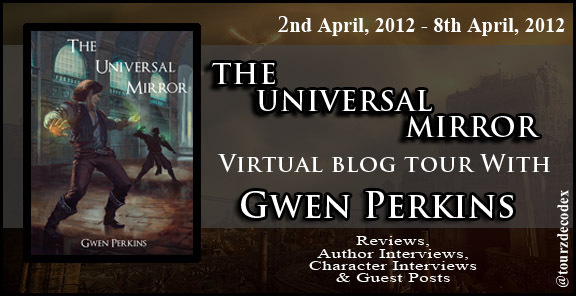 I’m going on a blog tour to talk more about The Universal Mirror and the other novels in the Artifacts of Empire series. I’ll be sharing links via Twitter and FB over the next few days so you can see what’s coming up but here’s an overview of where to read more about the book! April 3 – WTF Are You Reading? And bonus posts! I’ll be featured on The Magick Pen on later on this month. A warm welcome is due today to Jeffrey Zweig II who joins us again on the blog for a fun guest post that plays off of both his career as a novelist and his film making experience. Today, Jeff is going to give us the scoop on his dream cast for ﻿The End Begins: The Nine, available now on Amazon in both print and kindle editions. Thanks for joining us, Jeff! Before we get started, let me thank Gwen for letting me post on her blog today. It’s an honor and I’m happy to oblige. Before becoming a writer, I was a film maker. I took it seriously in high school and throughout college leading into getting my major in 2008 from Indiana State University. Throughout that time I’ve directed, acted, produced, wrote, been a production assistant, and been an extra. One of my dreams during that time was to have one of my screenplays be a Major Motion Picture, That still holds true today. I’m always on the lookout for actors who could play the roles of the characters I create. I like to at least know what my characters would look like in the real world given the choice. Not being so heavily involved with film making these days, I have to go off of stuff I’ve seen that I’ve liked, has made the news, or become popular so most of my choices will be known to an American audience. I’ve no qualms going another direction if an actor can perform the roll. Cassarah Telmar, our young Alchemist of the Nine, was a hard decision. Cass is young, but has a maturity and discipline going beyond her years. She shows this through her words and her natural demeanor. The role requires the ability to play off an awkwardness from other characters that are “in the know” to the norms of the world she’s experiencing for the first time. The role would also require actress to be heavily involved in the action aspect of the film. My choice for Cassarah Telmar would be Emma Stone. I’ve familiar with Emma Stone from her roles in ZombieLand and Crazy Stupid Love. I feel she has that potential for a role like Cass. Her face is so expressive – emotion comes through so subtly, I feel she has the chops to deliver the right kind of characteristic-atmosphere – a know it all like Bones (from the TV series of the same name), pulling off the oblivious super nerd while going through some growing pains. Though one might question her in the physical portion of the role, I think if given some training she could pull it off. James Kesumare has the look of a young guy but shows hints that he’s anything but. At the beginning of the book he’s a very typical teenager who’s thrown into this parallel world with a magic sword and is the center of the villains plot. But by the end of the movie he’s in the thick of the action spouting stuff about wibbly wobbily, out-of-this-world sciencey stuff while blasting bad guys with laser powers. The actor has to showcase that change and be able to be physically capable of the role. 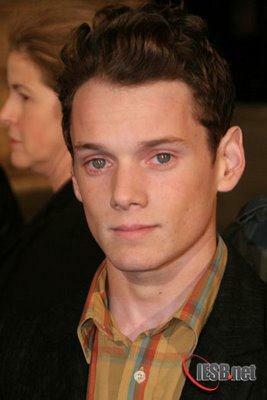 The role of James, for me, would go to Anton Yelchin. I first saw him in 2009 when Star Trek and Terminator 4 came out. It wasn’t until I saw him in the remake of Fright Night that I was convinced that he could do the job. Evidence from The Beaver and Law and Order helps me to solidify that decision. Just on appearance he looks young (he’s only twenty three), but he’s shown an immense amount of talent from portraying a vast amount of young men’s roles with such variety and believability – this role would fit him since James makes such a dramatic change on his adventure. Anton had had very physical roles in action movies as well that plays in his favor, having done stunts and seems to like actions, paranormal, scifi films. Caleb Knight is a mess all his own even being older and more experienced than the rest of the trinity. He is divorced, lost a child, he’s been battling one war or another for half of his life. And now he’s on this crazy adventure that continues to bend backwards almost everything he knows about the world. Yet he remains a rock of stability whereas Cass and James are anything but. Also the choices I have are American actors, where someone like Caleb is obviously going to be from Europe and might have an accent, I’ve chosen a person who has the ability to change himself for a role, and one who could slip right in. 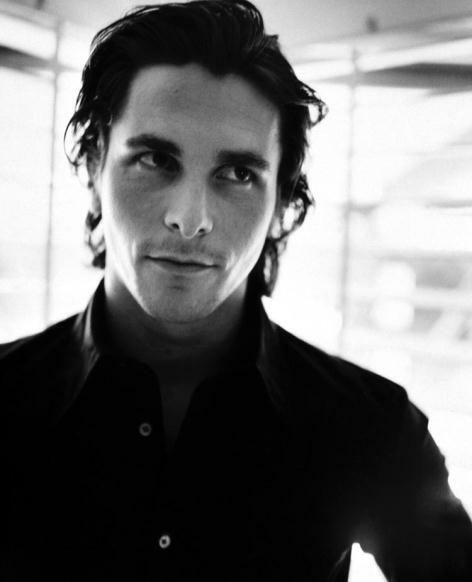 My choice for Caleb would be Christian Bale. Bale’s known for gems like American Psycho, the recent Batman franchise, among other things I like such as 3:10 to Yuma, the Fighter, and Terminator 4. He’s got the chops for a role like Caleb who is a war vet having to deal with a complex mission and his own feeling towards the crew he’s raveling with. Bale is able to put himself into many different roles, have different accents, change his appearance. He also has the physical capability and the presence that the role requires. He would help add some weight and experience to a group who are rather young. Thanks again for Gwen hosting me! She’ll be posting something for my blog very soon. In the meantime, please check out my book on Amazon right now! Gwen: Hi, Linda! As readers may know, your books The Heart Denied and Heart of the Hunter are both Amazon bestsellers (and available in print and e-format at a number of retailers). Can you tell us a little about the books? Linda: Hi, Gwen! Yes, and thanks so much for asking. Both are in the historical romance genre, and were published late 2010 and early 2012 respectively, by Hydra Publications. The main themes in my books are perseverance and redemption, the latter of which comes at great cost to each of the heroes. And without their strong, persevering heroines, these guys might well have crashed and burned. The Heart Denied is about Thorne Neville, a young lord who rejects all notions of love after the death of his childhood sweetheart. Instead, he plans to live a peaceful life at his ancestral home, Wycliffe Hall, with Gwynneth, the young woman he is contracted to marry–despite the fact he’s never met her AND she wants to be a nun. BIG mistake. The marriage proceeds despite Thorne’s misgivings, and Gwynneth proceeds to make his life anything but peaceful. While struggling to make the marriage work so he doesn’t shame Gwynneth or her family, Thorne finds himself inexplicably drawn to Elaine–a secretive young woman in his household who seems almost too refined to be the servant she is. Meanwhile, Thorne also finds himself fending off the relentless seduction attempts of Gwynneth’s closest friend, the stunning socialite Caroline Sutherland–who unbeknownst to him is secretly in cahoots with his stableman to rob Thorne of his entire fortune. As his carefully constructed life begins disintegrating in a succession of murder, suicide and betrayal, Thorne’s heart begins to open. Only then does he discover the happiness he had despaired of ever finding–and realizes it was right under his nose all along. 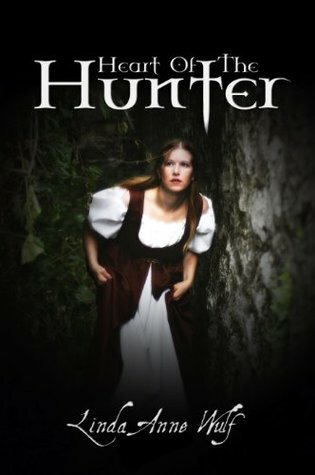 Heart of the Hunter is about Fianna Morgan, a young peasant woman forced to serve at Dinsmore Hall, her landlord’s household. There she recognizes his grown son Gareth as the boy who rescued her from a killer in Dinsmore Wood when she was eleven years old, swore her to secrecy, and then disappeared from her life. But Gareth claims he has never met Fianna. Further confusing her, he seems quite concerned for her welfare, but acts cold and distant. Determined to make him acknowledge their past connection, Fianna finally corners him, and learns the truth behind the terrible secret she has kept since that day in Dinsmore Wood–that the killer is a member of Gareth’s family and is living at Dinsmore Hall. Convinced that the killer hasn’t recognized her as the girl he pursued in Dinsmore Wood eight years ago, Fianna forges a secret partnership with Gareth to find the murdered corpses that will convict the killer of his crimes. Forced ever closer together in their search for this evidence, Fianna and Gareth must choose whether to deny or to trust their deepening feelings for one another. But Fianna soon discovers that the killer has indeed recognized her as the girl who ran from him in Dinsmore Wood. Terrified to find she is being stalked again, she also realizes she can’t tell Gareth. This time, she must stand her ground–alone. Gwen: Now, we’re going to switch things up a little with a bit of a chat with two characters from Heart of the Hunter, Fianna Morgan and her younger sister, Brenna. Let’s see what the characters have to say about this fantastic story. Brenna, how would you describe your sister when you first left your home? How did she change after she began investigating the mysterious events that you both became a part of? Brenna: Fianna was a little like Mama even then, but more fun, except she was always telling me to mind my tongue. She thinks I talk too much. But she should mind her own tongue, you know. I’ve heard her swear, and I know it’s because her friend Darcy swears, because I’ve spied on them before. Anyway, after our cottage burned and we had to go to Dinsmore Hall, Fianna kept trying to run away to see Darcy, I think because Lord Graham’s son Gareth was so mean to us. And when Mama had to go to Birmingham and leave us at Dinsmore Hall, Fianna started acting like she really was my mother. I did not like that at all. Gwen: Fianna, how did having your sister with you affect some of the actions that you took? Do you think that you would have been more or less daring if you hadn’t had to think of Brenna? Fianna: Depending on the situation, there were times I should have been more cautious, but stubbornness can make me impulsive–such as the time I escaped my locked chamber and marched around to the front door to confront Gareth and Lady Pembroke, and the time I stole the pistol from the armory–and then later, when I decided to brave Dinsmore Wood alone to search for bodies. I nearly paid for that foolishness with my life, and Gareth’s, too. But there were other times that, had it not been for my concern for Brenna’s safety, I might have escaped Dinsmore Hall altogether. I should thank her, because if I had managed to get away, Gareth and I would never have found the evidence we sought and begun the life we have now. I would probably have married my friend Darcy instead, though it wasn’t at all what I wanted. Gwen: When did each of you start to realize that all wasn’t right at Dinsmore Hall? Fianna: I first became suspicious when I saw, through my bedchamber window at night, a light moving through Dinsmore Wood. My suspicion grew when I snuck outdoors for a midnight walk and saw a horse and rider come tearing down the drive in the moonlight. Brenna: I saw someone standing behind the suit of armor on our first night at Dinsmore Hall, but Mama and Fianna said I was imagining things as usual. But I knew something was awfully wrong when I was alone in our bedchamber and saw a hand reach out and close the cupboard door–from the inside of the cupboard! No one believed me, and that only made it more terribly and wretchedly frightful. Gwen: Brenna, when did you start to think that your sister was first attracted to Gareth? Brenna: When she wanted to freeze her tail feathers off riding with him in the forest–even though we were going to have hot cider and biscuits in the schoolroom! Gwen: Fianna, do you agree with her? Or did it take you longer to realize? Fianna: Neither Mama nor Brenna ever knew, but I had been looking for Gareth Graham for eight years. I knew at the age of eleven that I wanted to marry him someday, but I had no idea what his name was or where he lived. I only knew that he was a kind, handsome, older boy and that he had just saved me from a man who would have killed and buried me in Dinsmore Wood. Eight years later, when Mama, Brenna and I went to serve at Dinsmore Hall and I realized that Gareth was that boy, grown, I was utterly dismayed. How could a nobleman’s son marry me, even if he wanted to? Nor could I understand what had changed him so–or why he refused to acknowledge ever having met me. Well, I learned why when I cornered him, and at that point, love and terror became my daily existence at Dinsmore Hall. If it weren’t for Gareth and the way he looked out for us, I would have taken Brenna away from Dinsmore Hall the very night after my mother disappeared. But I would have had to take her through Dinsmore Wood to do it. And I know now it could have gotten both of us killed. Gwen: What adventures await the two of you? Fianna: Gareth and I have exciting plans for his private estate. Suffice to say the place will soon be overrun by boys, to whom I’ll be both mother and teacher. Brenna: I shall marry Eggy when I am sixteen and travel the continent with our eight children. I shall have at least fifty gowns, and we shall have houses in London, Paris, and Madrid. And maybe Spain. To meet Linda in person, check out the Annual Authors’ Fair this weekend at That Book Place in Madison, Indiana! She’ll be there along with a number of other fantastic authors. 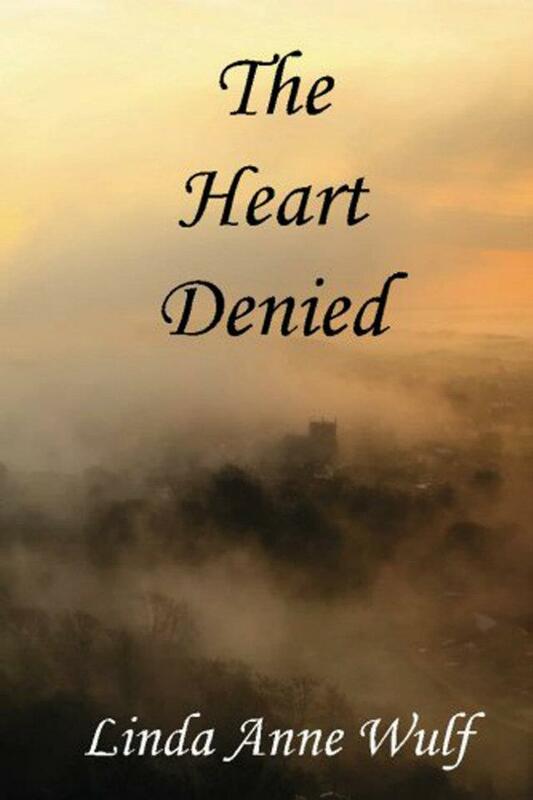 The Heart Denied is available now from Amazon, Barnes and Noble, and Powell’s while Heart of the Hunter was just released in paperback! For more information or to order, visit the Hydra Publications website. Some things are too wonderful not to be shared. Rachel Hunter is the focus of today’s Before and After, a new feature on this blog. In Before and After, we will hear from new authors before the publication of their novel and then follow up after the book’s publication to find out how the experience went. Rachel’s first book is A Llathalan Annal: Empyreal Fate, coming out this spring from Hydra Publications. 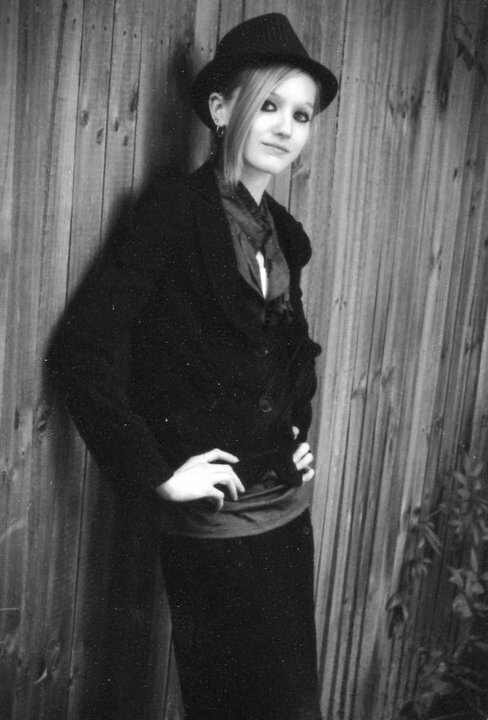 Rachel has also just released the short story, “Perfect Nothing,” about her battles with anorexia nervosa. Proceeds from this story will be donated to Give Kids the World. It is available now on Amazon.com. Gwen: Welcome to the blog, Rachel! I always like to start out by having the author tell a little bit about their book. Can you share with us what the book is about? Thanks for featuring me on your blog. I would be delighted to share a bit about my book: Empyreal Fate – Part One of my Llathalan Annal fantasy series. Behold: A Llathalan Annal: Empyreal Fate – Part One. I won’t give away much of the details here, but Empyreal Fate basically sets the stage for a great war between the races of man and elf. Part One focuses on developing a crucial piece of the story (which the reader will unravel as he ventures forth), and it establishes the basis through which the characters will learn and grow. I find a story comes to life when its characters mature and express marked wisdom. Indeed, as my Llathalan Annal series progresses, I hope the reader is able to make those connections and also tie himself in Llathala’s realm as well. Oh – and just a word of caution… Keep an eye on the young one. She’s not always as she seems. Gwen: What inspired you to choose fantasy as your genre? Rachel: Fantasy – a beautiful word against my lips! What could be more magical than transporting oneself into realms of the impossible – the enchanting? Since I could but only grasp onto the covers of a book, I have been reading to my heart’s content. Although I enjoy works spanning all genres, I have found that fantasy beckons my attention far above all. There’s something in the nature of the fantastical that draws me in; there’s something about the feel of alternate worlds and mystical planes that ensnares me. And this is why I’ve chosen fantasy as my own genre. I want to make others feel the way I do about words: to breathe in awe at their elusive connectedness – to marvel the fluid way in which they bind. It’s this internal delight that delivers life upon a sheet of parchment. And it is this feeling I wish to instill. I wish to add a side note here, as I have also a penchant for poetry. ‘I dance with words,’ as some may say. As a poet, I have incorporated my fascination of speech within Empyreal Fate, thereby bringing to light the lofty language and mystical tongue of an epic world. Every sentence I wrote flowed through my head along with a beat, and I recounted my tale accordingly. Thus, I wish to share with all the beauty of words and the unique way in which they breathe. Gwen: I know that I myself was reading fantasy from a young age—the first book series that really captured my imagination was the Chronicles of Narnia by C.S. Lewis. Reading so much fantasy–particularly those novels with their use of metaphor and subtle discussion of religious themes–definitely influenced me as a writer. Have you had a similar experience with any books that you’ve read? Is there any theme or aspect of a novel you read early on that just sticks with you? Rachel: Vivid words and breathing characters. Regardless the genre and regardless the message, if these crucial elements are for lack, the tale will hardly hold together. Fantasy-speaking, I do well enjoy political references and spiritual subtleties. In fact, when I wrote Empyreal Fate, I sewed in some ties of my own spiritual quandaries. I would definitely say that having read other works throughout my life has inspired me to intertwine such concepts. The most important part I gleaned was how – despite the message or whether I truly believed it– the influence or ‘readability’ of the characters was key. In fact, I believe The Shannara Series – by Terry Brooks – was the first truly epic fantasy collection I read, and I was immediately intrigued by the character dynamics. Without that connection, the inner workings of the novels would not have been as profound. Gwen: When we write, there is often an idea behind it that we want our readers to discover (and we’ll talk more about that in our “After” interview). As a first-time novelist, however, what ideas did you uncover in your own work? Did you learn any lessons from your own characters? As for my characters – they instilled in me the importance of virtue, of love, and of truth. (I would say more, but for fear of spoiling anything, I shall refrain.) I will, however, suggest that one takes note of the Cauychin. Now there’s a witty beast with heart to tell. Gwen: Let’s shift gears a little and talk about one of the hardest things that any author has to do—finding a home for the work when they’re finished. What was the most difficult part of this process for you? Gwen: How did you come to choose Hydra Publications for your book? Rachel: Actually, I was offered two contracts for Empyreal Fate within roughly the same week. It became readily apparent, however, that the first company was not the right ‘fit.’ Therefore, Hydra graciously accepted me into their family, and I could not be more pleased – nigh, honored! Gwen: Do you have any expectations about what will happen once the book comes out? Any special plans for other projects? Rachel: Well, with college and various academic endeavors, it is difficult to find the time to specifically plan things. I do, however, hope to attend more writing conventions, assert myself further via social media, and perhaps participate in blogs/interviews such as this! Of course, I also plan to polish the rest of my series, but as for a schedule – it’s up in the air! We’ll see where Fate takes me. So far, the journey looks promising. Gwen: What has been the most rewarding part of your experience thus far? Rachel: Meeting new people – immersing myself in the collective wisdom of my peers. Simply experiencing the joy of fellow authors and readers claims my heart. It rewards me most of all when I can share my opinions with others – whether about novels, poetry, or life in general – and, in turn, gain insight of my own. I’ve learned a lot from others throughout this process thus far. And I, too, wish to inspire. I wish to awaken the muse in those who seek its majesty. You never know what one may discover within. Gwen: If readers want to follow your work or find out more about you as an author, what’s the best way for them to do that? Rachel: As of now, one can find me on my blog, websites, Facebook, and Twitter. Also, be sure to visit Hydra Publications’ Website, where I can be found – as well as a plethora of other amazing and talented authors: http://www.hydrapublications.com. Again, thank you for having me! ‘Twas a pleasure indeed.